The Tampa Bay Buccaneers got a key player to help with their defensive line’s lack of a pass rush. 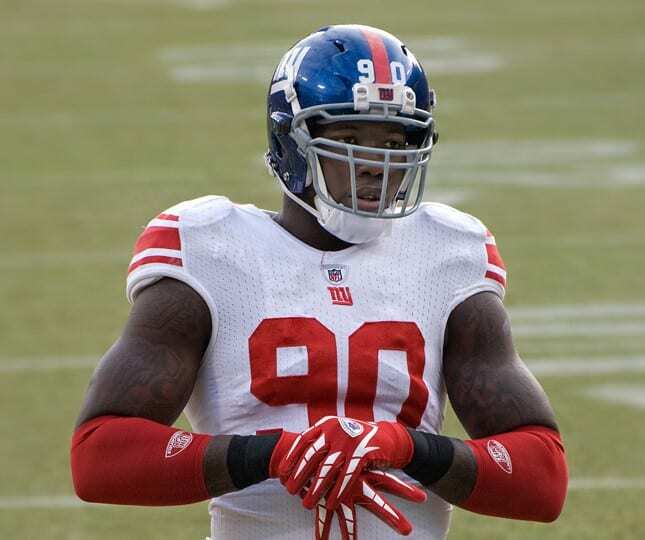 The Bucs traded third- and fourth-round picks in 2018 to the New York Giants for defensive end Jason Pierre-Paul, according to ESPN. The Bucs also get the Giants’ 2018 fourth-round pick. Pierre-Paul, a former USF Bulls standout, is a two-time Pro Bowl selection. He had 68 tackles, 8 sacks and 2 forced fumbles for the Giants in 2017. He signed a four-year, $62 million deal last year. Pierre-Paul will join several new defensive players in Tampa Bay, including former Eagles defensive end Vinny Curry, who signed a three-year deal last week, and former Eagles tackle Beau Allen. Gerald McCoy is an All-Pro player at the other tackle position.